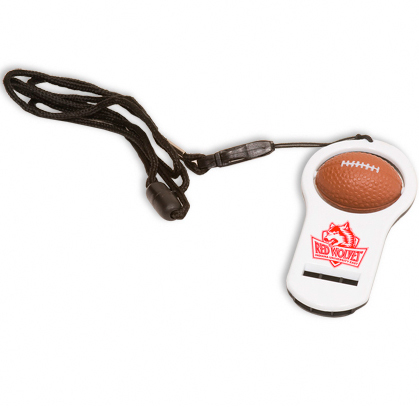 Football Whistler soft football-shaped polyurethane ball with plastic whistle. Comes with break-away lanyard. Great school giveaway. Show your team spirit!